QuickPro offers emergency commercial locksmith, lockout service, key repair in Atlanta, Brookhaven, Chamblee, Tucker, Norcross, Dunwoody, Smyrna, Decatur and Stone Mountain. QuickPro Locksmith is your number one choice for commercial locksmith assistance in Atlanta. All of our technicians are reliable, certified, and insured so that you never have to worry. If you’ve got a problem, leave it to us to fix it. Our commercial services extend to a variety of areas, far surpassing simple key and lock maintenance. 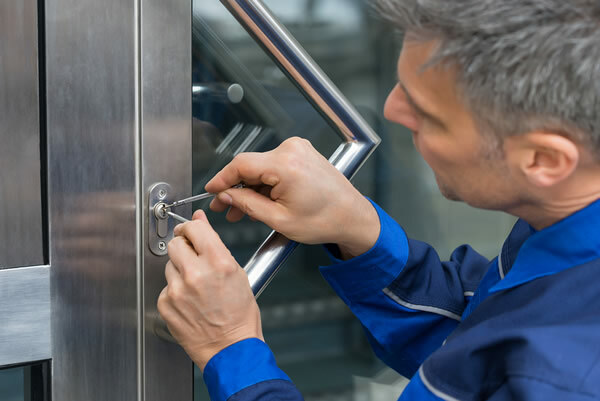 We understand that businesses have myriad concerns in terms of security and confidentiality, which is why QuickPro Locksmith specializes in advanced locksmith application. New Locks Installation – commercial buildings have many offices to protect and it is important that each room has a lock and key. QuickPro Locksmith offers a variety of indoor and outdoor lock solutions for businesses of any size. Push Bars – doors with locks do not necessarily have to have door handles. Push bars are typically common on double-door entrances for commercial buildings. They are easy to use and easy to install. Lock Rekey/ Master Key – for office buildings a master key is necessary for maintenance and security. As well, when offices change occupants it is advised to change the locks – QuickPro Locksmith can do this for you no problem! File Cabinet Locks – file cabinets are an excellent place for businesses to store important documents. Having a few of these throughout the office is never a bad idea. QuickPro Locksmith offers all commercial centres in Atlanta the opportunity to secure files by locks they can trust. Access Control Systems – since commercial centers have many more entrances and exits to worry about, an access control system may be the most convenient solution. Lock, unlock, and monitor the traffic through all doors in a building. Take it a step further and add additional security measures such as alarm systems and your premise is completely secure. When dealing with businesses and commercial centers, it is crucial to have the necessary man-power to get through every task in good time. Emergencies need to be dealt with as quickly as possible so that hours are not wasted in the office. QuickPro Locksmith has the resources and the people to tackle any emergency situation. Additionally, we have the experience to take on any job confidently, guaranteeing consistent professional results. Our technicians will not only come right to you, but they will also come at a time most convenient for you. Because our locksmiths are on call 24/7, you never have to worry about problems staying unresolved. If you are located in Atlanta and require commercial locksmith assistance, please contact us for a free quote today. For emergencies, give our customer service representatives a call and we will send out help right away. No matter where you are in Atlanta, you can be sure QuickPro Locksmiths is here to help.